Patience is something we never pray for, because if we do - we just know something bad is going to happen! The AC will quit working. We will wake up late. The smashed, cold, uneaten eggs will cover her booster seat....the floor...the bottom of her diaper and feet. One of my dearest friends once told me that she explained "patience" to her young girls as "Waiting with a good attitude." So simple. So hard - even for adults! They were arguing again. Their voices started out a soft murmur, but began to climb higher in pitch and volume. I reached over and turned up the volume to the song playing on our speakers - such a soothing melody did nothing to soothe the tension building in the backseat. I realized the music was only causing the argument to raise its volume, not turn it down. I switched if off. My muscles tensed. My head was throbbing. The traffic was heavy. The fighting continued. Screaming began to ensue....and finally....I had had it! Mothers get to a breaking point....then guilt floods our hearts. And sometimes the guilt is there for a reason: sin. The guilt brings me to my knees in repentance and causes my heart to want to change. I want to change my reactions to situations! I really want to be "waiting with a good attitude!" Patience is about the attitude and the actions. Sometimes I struggle with the right attitude. I want to feel patient. I want to feel peace and calm. 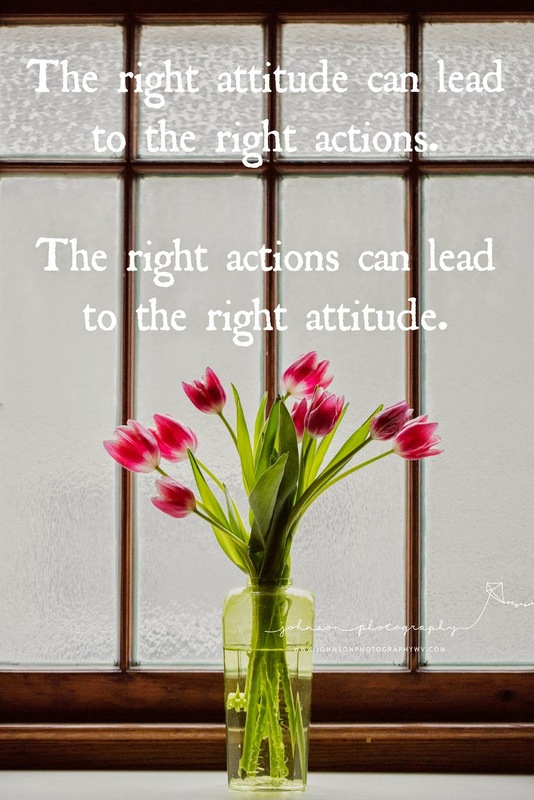 My circumstances swirl around me stealing my peace - but I really want to wait with a "good attitude." I want to respond to the chaos that is my life sometimes with a sweet, kind, and loving voice coming from a sweet, kind, and loving heart. Sometimes I struggle with the right actions. I want to have the right response to situations (regardless of how I feel). I want to give a kind word or a smile. I do not want to lash out in anger or give a huff of disappointment. If we need patience for the moment, worshiping God is something we can do right away. Praising God can be just the thing to allow me to get quick control ofI my boiling blood. It is a matter of doing - not feeling. I do not need to feel in a "lift-your-hands-in-the-air-hallelujah-moment." I only need to do it. Sing a song. Hum a tune. Just say the words: "God I praise You for who You are!" Work. We do the job we are called to do. As mothers, this means cooking, cleaning, disciplining, teaching, guiding, and the list could go on. All Christians are called to work. We are to love, witness, study God's Word, pray, go to church, and the list could go on. We do the work regardless of how we feel. The feelings will come (and they may go) but continuing to labor is the key to developing true patience. We can always be learning. Learning how to be a better mother, parent, friend, and Christian. We are to be studying God's Word. Reading it daily, but also meditating on it - memorizing it. While we wait, we learn. While we exercise patience, we are learning. God is our Teacher - and He longs to lead us down the path of Truth! We need to be doing what we know we need to do. We then need to cultivate the correct attitudes as well.